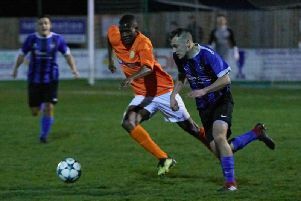 Coventry Alliance League – Division 2: Jaguar- Daimler 0 Brinklow 3: Brinklow wrapped up their league campaign with an away win in a lively encounter. Morgan Pulford almost got the visitors off the mark on 20 minutes when his header struck the crossbar. 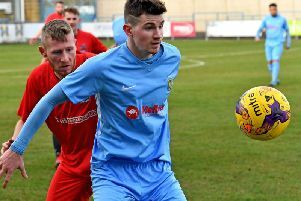 Conor McKiernan opened the scoring four minutes later dispossessing a defender and hammering the ball home from 10 yards. Four minutes after the re-start saw clever approach play between Dan Hood and Pulford set up Scott McCulloch who slipped the ball past the keeper from five yards. Brinklow wrapped up the game on 51 minutes after McKiernan intercepted a loose pass and slipped the ball to Pulford, who shot home from the edge of the area. The final third of the game saw Jag-Daimler step up their game but the visitors' defence held good to ensure they took all the points. U9s: Kallum Mackley was twice on target for Brinklow in a tough game against Christ the King Blue. Man of the match went to Jack Johnson. U11s: Athletic United v Brinklow: Brinklow arrived in Coventry to face Athletic United with a long injury list and only the nine starting players, but this team just loves a challenge. Building on the defensive partnership of Cameron James and Mason King the team played with a new attacking formation, allowing the midfielders to feed the three strikers, who were thriving in the space they were creating for each other. Brinklow were dominant throughout and created some magnificent chances, only to find the home keeper in fine form during the first half. But the killer blow came from midfield, through Jacob Smith with a looping shot that travelled in slow motion and ended in the top corner. Man of the Match went to midfielder Leo Worth, whose tackling broke down play, enabling a great Brinklow win. Another perfect example of teamwork - well done boys. U14s: Brinklow 7: (Dan Fordsham 3, Ryan Prior 2, Harry Shorten 2) Coventrians 0: Brinklow prepared for next week’s game with a comprehensive beating of Coventrians. From the off Brinklow forced their keeper into a string of fine saves, but although it took a long time to break them down, but a superb ball from Arjun-Veer Singh Sembhi set Dan Frodsham free and he beat three players to score. This calmed the nerves and Harry Shorten scored from a rebound and Ryan Prior then finished well from close in. After the break the visiting midfield took total control with Matty Natawidjaja and Dan creating chances for Harry and Ryan to score braces with clinical finishes. Dylan Smith set up Dan to complete his hat-trick after he tapped in his second goal from a close-range pass from Ryan. The visiting defence held firm throughout and thwarted any comeback to ensure the clean sheet. Man of the Match: Dan Frodsham.